Physical defence security is more than just gates and fences, and for properties that will encounter high-profile risks, the most effective solution is to integrate standardised security thoroughly. Applications within the Defence sector are identified as one of thirteen different sectors of Critical National Infrastructure (CNI) by the UK organisation Centre of the Protection of National Infrastructure (CPNI). Essentially vital to functioning of UK society and economical welfare, CNI applications require further standards of security measures, and their level of protection must be smarter, stronger and more resistant to extreme levels of force. Defence refers to any building, property site or facility that homes any critical national defensive measures or Armed Forces facilities – applications that are base for home military personnel, or military-grade equipment. Military Defence services protect the UK and its interests both nation-wide, at the border and internationally, massively contributing to the stability of the nation. For every property or application, there must be assessment of risk to profile the types of attack the security measures must be able to protect against. A low-priority crime, theft does require consideration. In 2016, the Ministry of Defence (MOD) disclosed that there had been nearly five hundred recorded thefts or losses of classified materials from a number of UK military bases in the previous year following unauthorised entries. For a highly secretive industry, the attention of the security services has become laser-focused on the exciting developments of technology, and away from the less enticing administrative and technical elements of physical security. As we are still very early on in the life-cycle of security technology, so much so that it has become a data function that requires a security risk analysis independent to the property. There is no denying the benefits of technology but for security, automated detection capabilities have greatly improved our ability to mitigate threat. For example, traffic heading in the wrong direction can be identified by traffic control cameras as suspicious, raised with necessary staff and monitored further without any human action. The requirements for secure servers, reliable cloud-based services, significant bandwidth and integrated networks are not only expensive but also pose unique vulnerabilities. CPNI physical security measures are implemented when the risks posed to a site are serious enough to fall on within the threat spectrum of attack, damage or destruction. CPNI specified measures can be expensive but are vital to the ongoing protection of the infrastructure, and therefore the nation. The Government recognise the need to protect the Armed Forced Defences, and despite declaring in the 2010 Strategic Defence and Security Review that the inherited defence spending plans were ‘completely unaffordable’, ensured that budget reallocations allowed for the necessary measures to be implemented. The recorded crimes of theft against military bases are petty, and there is in fact very little public information about serious threats to military bases within the UK. This could be that this is not public domain and should not be shared, though it may also be because effective mitigation through preventative security measures, surveillance and experienced personnel eliminated the threat before incident. On a larger scale, Defence applications have a dependency to provide a sense of protection and safety to the public. 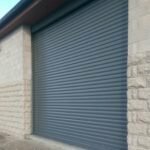 The Armed Forces are the nation’s first physical line of defence, much like a how a security shutter physically protects a building. This dependency can have a subsequent effect, as those against the nation understand the significance of military bases and target them because of it. Military bases must mitigate against risk including large-scale terror attacks using explosives, use of ballistic force, vehicular-ramming and sabotage with intention to cause national destruction. Looking at the individual branches of the armed forced a little closer, it is understood that army bases do not face the same risk profiles as other CPNI sectors: authorisation is required on entry so public access is generally eliminated, there are few aesthetic requirements meaning restrictions are rare, and power supplies are supported by off-the-grid generators. Location is also a factor as Army barracks are located inland (as a generalisation), so escape routes will be planned for contingency purposes in an emergency evacuation. For maritime defence applications, environment considerations do require further product specifying as all coastal properties face the risk of rusting and weakening from exposure to natural elements. Military bases are also where the nation’s defence equipment is stored. Highly sensitive as both a material and a knowledge piece, locations that store equipment such as ballistics and explosives must be mitigated against the risk of deliberate and accidental activation. Finally, logistics for every high-profile CNI sector are complex and Defence applications are no different. Recognisable vehicles are generally used for high-profile events as reassurance for public safety but present the risk of surveillance. Entry and exit strategies, supported through the use of barricades, reinforced perimeter fencing and gates, will be implemented and practised to mitigate risk the vulnerabilities presented at the first or last stages of transit. Charter Global offer several solutions for CPNI projects, please get in touch with our experienced team for further clarification. At Obexion, we appreciate that no two installations are ever the same and we pride ourselves on being able to offer bespoke, custom security solutions.